For some it is about looking Instagram-ready every day, all the time. For others, it’s a chance to skip applying mascara every morning and still look fab. Eyelash extensions are slowly but steadily conquering the world. Though there are more natural ways to get long, curly, luxurious eyelashes, the results can hardly compare. If you turn green with envy every time you see a girl with amazing, long, curly lashes, this is your chance to next time blow her away with a single blink :-). But if you are thinking about getting yourself a set of eyelash extensions, you’d better know what to expect. There are many things to consider – the price, the type of lashes you want, the procedure and how to take care of your new eyelashes. 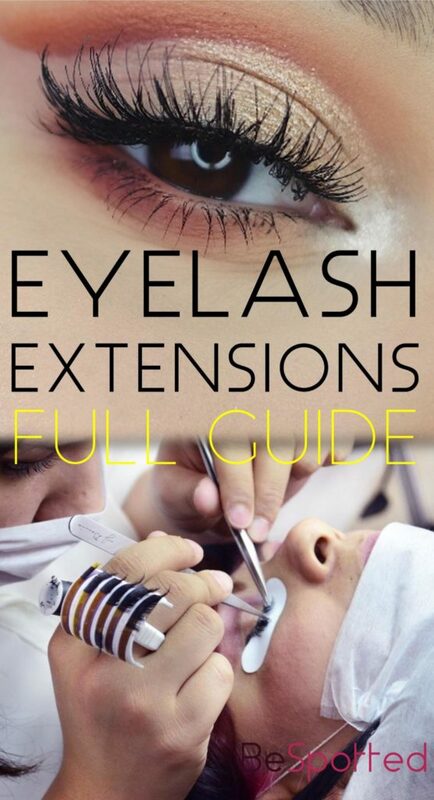 Though they have many advantages, eyelash extensions are not always a perfect solution. You need to go into it with your eyes opened. And there is nothing wrong with that. Of course professionals will charge more for their services. But, simply put, not everyone can afford them. Not only are eyelash extensions pretty costly the first time you get them (in the US the price goes from $100+ to up to $400), but you also have to count in all the refills you’ll need ($40 – $100). You will use less makeup after you get your extensions, but not near enough to cover the price. However, you do not want to save some money at the expense of quality. Trust me – you just don’t. From getting poor looking lashes, extensions of a low quality, the possibility of catching an eye infection, to losing your natural lashes… The Internet is swamped with enough horror stories to convince you you’d better stick with mascara if your budget is not enough to cover the expenses of getting and maintaining the extensions. 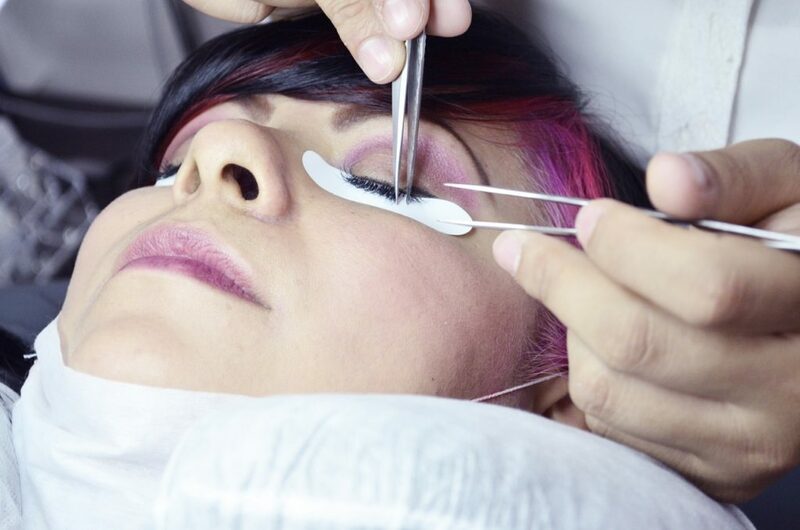 In several years since they first appeared, professionals in this industry have gone above and beyond to elevate extending your lashes to a form of art. Nowadays, with your technician’s help, you can get a completely personalized style created just for you, perfect for your likings, lifestyle, your face and eye shape. Synthetic lashes are the best for more dramatic look, but they are also glossier, firmer and heavier than the others. Not a great option if your natural lashes are not strong enough to support them. For the same reason, there is a higher chance this type of lashes might damage your own ones. Faux mink lashes are soft, fine and light, giving much more natural look and feel. Also, because they are not heavy, they can last much longer than synthetic ones. But you will hardly get the dramatic look with them. Silk eyelash extensions are in many ways an in-between option, perfect for girls who are looking for a bit of drama and a bit of practicality. The next thing you are going to have to decide is what density you want. The fullest is not always the best. If you are getting eyelash extensions for the first time, you can start with around 60% and see how that goes. Then, when it’s time for a refill, you can add more lashes. But if your natural eyelashes are not in a great condition in the first place, you won’t be able to get a full set because it might damage your lashes even further. That is one of the reasons you should find a real expert and follow his/her advice, even if you don’t like what you hear. As for the length, you can usually choose anywhere between 6 and 16 millimeters. 10 – 12 mm seem to work best for most girls. Try to find a place where they combine several different lengths to give you the best customized look, created just for you. Using 3 – 4 different sizes is the best way to get super long lashes that don’t look fake fake. J curl is the straightest kind, while C and D are super curly. Like with length, some technicians combine different kinds of curls in the inner and outer corner of the eye to create more natural looking eyelash extensions. Yup, the latest trend. Colored eyelashes are becoming more and more popular. Your technician can recommend you the color that would go best with your eyes. It is an amazing way to really make your eyes “pop”. You can also do multiple color lashes and decide what percentage of colored lashes amongst the black ones you want. You don’t have to go crazy with it – it can be done so subtly, you can’t even notice the color unless you look at it under a certain light. Of course, not everyone is into colored eyelashes; extensions on their own are pretty impressive, even if you go with good old black ones. The procedure itself can last for a couple of hours. The density of the eyelashes you plan to get plays a role – the more the technician has to attach, the longer it can take. Plus, it can take half an hour longer if you’re getting colored eyelash extensions. When you are going to your appointment, don’t wear any makeup and don’t curl your lashes. Curled lashes mean the technician will have troubles to see what he is doing and it will be harder for him to do his job. Basically, you will be laying on your back, eyes closed, all that time. If you’re not a person for small talk, you may want to find a way to entertain yourself during that time. An audiobook might be a good choice. The procedure is painless. The technician will glue eyelash extensions, one by one, to your own eyelashes. The fake lash shouldn’t be touching your eyelid and only one lash should be glued to one natural lash. Everything more than that can look messy and lead to twisting and tangling of eyelashes. It could make them fall out, which is the fastest, most certain way to damage your natural lashes. Your new lashes will fall out when your natural lashes they are glued to do. That happens all the time, it is a part of the natural hair renewal process. You probably don’t even notice when your eyelashes fall out, but when a long, thick, black eyelash ends up on your cheek, you will notice. That is why sometimes it seems that you suddenly started losing more lashes than before. Most girls go for refills every 2 – 4 weeks. It takes that long to lose enough lashes for it to become visible. The procedure is the same as the first time you got them, except it takes less time since you are not getting a full set. Accordingly, the price is much lower, but they are some salons that insist on removing all the remaining eyelashes before applying a full new set. And, of course, they’ll charge for the full treatment. Different types of lashes and different types of glue require different attention, so listen to the instructions your technician gives you. He knows the best what was used and what kind of care will make them last longer. But there are some rules that are more or less the same for all. By all means, do not pick them out yourself. If you decided you don’t want them anymore, go to your salon and let the experts remove them. Picking them out, you can also pick out your natural lashes! And if you went that far to get long, thick lashes, I’m sure bald patches on your eyelids wouldn’t be your next great beauty choice. Though spending long time in the water (swimming, for example) can weaken some types of glue and make your eyelash extensions fall out faster, washing your face of taking a shower won’t do any damage. As long as you are gentle and careful. Your new lashes will need regular cleaning. Some experts recommend diluted baby shampoo, others might recommend products specifically created for false lashes. Extensions can collect oils, sweet and bacteria during the day, so it is very important to gently cleanse them every day. Most girls stop using mascara the moment they get eyelash extensions. There’s simply no need for mascara – they are already long, thick and curly. For some special occasions, though, you might want to make them even more special. Just don’t apply mascara from the roots and don’t use waterproof mascara (or any waterproof makeup). It is much harder to remove it and requires rubbing and pulling that can damage your lashes. You should stay away from any oil-based products, including facial oils, oil makeup removers or oily cleansers. Brush your lashes regularly, especially after wetting them, when you wake up or anytime you notice any tangles. The only complication you can’t do anything to avoid is a possible allergic reaction to the glue. Just like with food, drugs or cosmetics, you never know when a reaction can occur. The good news is, no matter how severe it may be, it’s not likely the allergic reaction would leave any serious or permanent damage. Your natural lashes can be damaged if a) you pick them out, or b) the procedure was done unprofessionally. When everything is done correctly, no damage will occur. I know many girls say they went to a professional and still lost their natural lashes. Eyelash extensions, allegedly, completely destroyed them. But what do they mean when they say “professional”? Nice salon? Diploma on the wall? High prices? Professionals will give you as much of the result as you can get without making any damage. If your lashes were destroyed, they were not professionals. Maybe the person performing the procedure didn’t estimate your lashes correctly to see how much they can take. Maybe they didn’t use the right equipment. Did they glue more than one false lash to one of yours? That is way too heavy. Don’t visit them again. Of course, if they warned you that the set you had in mind might not work on your lashes and you still insisted on getting them, then it’s your own fault. The biggest alarm bell that your technician shouldn’t be trusted is if any infection occurs. They have to cleanse their hands thoroughly before they start to work on your eyelash extensions. Their equipment needs to be sterile. They need to be very careful in general. If they aren’t, you can easily get an eye infection. Do you really want to let them anywhere near your eyes again? Still have questions? Would you like to actually see how the procedure looks like? Check out this video by The Lashe Inc – Eyelash Extensions.